Wikipedia articles can be changed by anyone with "verifiable" information. OK, buying a corporation name (such as "Heal the World Foundation") from the California Secretary of State is "verifiable". Wikipedia editors can look it up, just like I did. So then the site can be changed by Melissa & Co. to say whatever they want it to say. I FOUND the fake HTWF through Wikipedia, for goodness' sake! This is why lies are so dangerous. Time will tell, I agree. OK, how fun is this? Wow. Melissa Johnson has EDITED her posts from December 2008 within the past 24 hours. She effectively DELETED her own posts! All of this happened after I posted here earlier today to answer the comments by Gaia and referenced her 2008 posts. Gaia, did you tell her to check out this forum and fix her old posts? Well, we all know everything Melissa ever wrote on this site is on the server here. Just like her post on myspace saying she had never met Michael Jackson is on their server. Why on earth would she delete her own posts from last year? Oh. Could it be that what I have been saying is true? Shame on you, Melissa. Just tell the truth. [QUOTE=katecollins;2100331]OK, how fun is this? Wow. Melissa Johnson has EDITED her posts from December 2008 within the past 24 hours. She effectively DELETED her own posts! I didn't get to read what was on them! as I asked in my last post if they were under a user name, I did have a quick look yesterday but was too busy looking for user name melissa and didn't have time. I see that now you have given me the user name that they have been edited ,What was in them? I didn't see anything relevant. I don't see why her having met or not met Michael is relevant, she says the charity was with his knowledge. We have no way of knowing whether that is true or not, does it matter. Is there any way to access the posts? I agree anyone can write a wikepedia article which actually make the fact you found out that it was fake equally invalid. I don't know what to believe at this stage. I'm not going to comment any further on this topic because there is no point. I promised that I would tell you FIRST, any information before the world knows. Soon, CBS will report some information I have given them about the charity. have always been my priority and will continue to be so, as that is how Michael wanted it. You all recieved the ONLY information my counsel would let me give out. Some of you have been worried, skeptical and concerned about the validity of the charity and for good reason, with fake charities already claiming they are us, with every tom, john and harry trying to claim a bit of cash off a dead man's beauty, is enough to make you question your own mom. I understand your concerns and I share them with you. To honor my word, as I will always try to do with all of you, below is the statement I made the CBS. BEFORE it airs. because I have been trying to protect the charity. Also, because I was waiting on the autopsy report. The Jackson family do not know what is happening with the Jackson estate and I've tried repeatedly to connect with them with vital information and get no response. conspired to 'help' him die and made it look like he overdosed. Heal The World Foundation, the charity, was preserved completely with Jackson's management in the know and it is precisely the new management staff that we were protected from. recently replaced a crew of managers and those people had been working with us for years. His old managers knew Jackson was in danger and kept our work and the preservation of the charity from them to protect it. before our work would continue. Then he died. were not prepared to continue without Jackson. have hope and grieve and for the protection of the charity. 2. We have had hundreds of offers from major corporations and businesses all over the world to make millions of dollars in partnerships and our only actions have been to protect the property of the charity and console the fans and people who want to pay tribute in their own way. died because it was expected he would participate to launch the initiatives. The charity was preserved for his participation.The work done in the charity without Jackson had been going on for years while he stood trial, but not 'officially' but in our own time, expense and all to preserve his humanitarian legacy for his return. till we connect with the family. large donations, made NO large agreements. has been a very difficult time. 2. Jackson's current attorney: mark harrison works for vennable and currently represents Jackson estate, how come he's my attorney for the charity and I have no connection to the Jacksons? For legal reason's we cannot share much more, but I will say that when the smoke clears, HTWF will stand and only those that seek to do right by his humanitarian legacy, will have all we have. Like you all are worried about us, we too are worried about those that 'say' they represent Mr.
Jackson and don't do as he would do. "Don't tell me what you believe, tell me what you DO and I'll tell you what you believe"
Last edited by Gaiaschild; 11-08-2009 at 07:20 AM. The Heal the World Foundation has filed court documents asking for the right to use the Michael Jackson trademark. I posted before too about the resurrected foundation. And I will repeat: if this is legit... then why all the mystery about everything? Why no legal status? And why do they have a website that says has all the answers... but first you must become a member? Not saying that it is legit, in that whether Michael was linked or not, I don't know, I agree that if that isn't true then that is misleading. Last edited by Gaiaschild; 11-08-2009 at 11:11 AM. I agree that there is nothing of substance in Melissa's CBS News statement... just more of the same non-answers and disinformation. The court filing was news to me--and you are so right. There is nothing else to say, really. If they have to go to court to try to get permission to use Michael Jackson's name and trademark... clearly, he had nothing to do with these people while he was alive, as they have claimed. Where did you see the court info, Hoofmark? If you have a link about this, please post it. As for what was in Melissa's posts, I'm sure the originals are still on the MJJCommunity server somewhere. She cannot delete that. The posts contained the same sort of accusations, claims and vagueness noted earlier about the CBS statement, and that seem to characterize all of her writings. This report by CBS News was published today. It really does say it all, and I quote, "The Michael Jackson estate has no connection whatsoever to the "Heal the World Foundation” run by Melissa Johnson," said Terry Fahn, a spokesperson for John Branca, the special administrator of the Jackson estate. Rest In Peace, Michael. I am so sick of people scamming other people in your name. Heal The World, people! We are the world, and it is up to us to make that change! 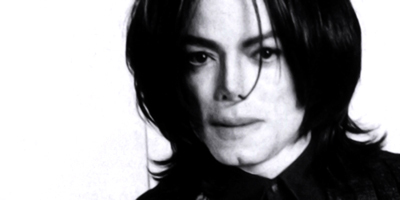 Thank you from the bottom of my heart, MJJCommunity, for being a safe, sane place to ask questions. Thanks for posting the cbs news link, Kate! That clears things up. I've been busy this week and just got back to this thread. You guys are definitely right that there should be some sort of investigation and/or legal action about what Melissa is doing. I would certainly sign a petition calling for this. Here is some really good news: go to www.uncivilsociety.org and see where Jeff Trexler has put out the Welcome mat for MJ fans who have been disillusioned by Melissa & Co.'s scam HTWF. This is not a fan site, but it is a great site to learn a lot about non-profits and charity work--how to effectively carry out Michael's vision to heal the world, in other words. I have posted there asking people to post their ideas of what we should be working on now, and once we get some feedback, we plan to go on to the next step. The goal is to DO IT--heal the world--and we don't need a fake charity to do that. Also, anyone banned from Melissa's HTWF is very welcome at www.uncivilsociety.org. See you there! I guess you can add one more to the list of people banned from Heal The World. I made a post about a week ago presenting the CBS article in the HTW forums and brought to mind that as of right now, there are no legal ties between Heal The World and Michael Jackson and if the administrators could please take down any information stating that Michael has anything to do with the "new" charity. This started a discussion with myself and other fans about whether this is the HTW that Michael started -- which is no -- and whether or not it matters if Michael's linked to the charity or not. It was a good discussion until Melissa Johnson came in and made a comment telling us to (again) be patient with all the legal stuff going on right now and then proceeded to call the people questioning the charity "Nancy Grace's" which, in my opinion, is pretty low seeing as how Nancy Grace is a spawn of the devil but that's beside the point. After her comment, the post "mysteriously" disappears and myself along with other members were banned. Thankfully I was smart enough to take screen caps of the post in case this should happen. For some reason when I uploaded the caps, they shrunk. You might need to save them to read them better and then delete them when you're done. I have to say though...after reading comments that users are having of Melissa Johnson and HTW, it makes me feel better knowing that what I've been assuming has been dead on. I feel like, once again, HTW is in the wrong hands and Michael's image is being used for the gain of others. I'm also very worried at the fact that Melissa and HTW have been having "legal problems" since 2008. Will they still be having "legal problems" in 2010? I don't know, but I've been spreading the word amongst fan sites of how this foundation is being run. I don't need to be a part of HTW to spread Michael's message. Especially if they are turning fans away like they are. This is all so very sad and I hope one day Heal The World will be in the right hands. Starlet, read the updated Wikipedia article on Heal The World Foundation. It makes it clear that Michael never had anything to do with Melissa & Co.
NOW--go to www.uncivilsociety.org. Quite a few of the "banned" members of the fake HTWF are there. It's Jeff Trexler's blog, but he has said we are all welcome while we figure out how we want to do what we want to do. laurenlovesmj was just banned also, but posted a great answer to the question we are answering on the site now. Here is the Question: "I would like to ask everyone who comes here (www.uncivilsociety.org) to post what you think the most valuable type of work for us to sponsor with both our time and money would be: donate to children's charities, orphanages, children's hospitals, AIDS victims, educational charities, providing help to homeless children--what?" Lauren's Answer: "Well, I think that is enough about HTWF. I want to answer Kate's question about the most valuable type of work for us to sponsor in the beginning. I think it should be something simple but hopefully effective, such a scholarship in Michael's name at Oxford, where he gave that amazing speech about parents and children in 2001. I don't know anyone at Oxford, but surely someone does. I did look up tuition costs, and although the Oxford website is pretty vague about costs for US Students, I searched around and found several sources that say a year at Oxford for a US person costs between $30,000 to $40,000--about what a good private university here costs. For UK/EU students, a year is much less--about $7,500 to $10,000. I think a good goal would be to raise $40,000. If a US person is awarded the scholarship, it will only pay for one year, but if a UK/EU student is awarded the scholarship, it could pay for most of their undergraduate degree. How to win the scholarship? I think there would have to be a knowledgeable review panel set up--maybe Jeff can help us with that since he is in academics. My idea--and I am sure there are better ones--would be to have an ongoing research effort into Michael's humanitarian and philanthropic work... basically a history of what he actually did to help people and the planet. The research would have to conform to rigorous academic standards, and all the papers written would become part of the body of work, whether the winning dissertation or not. Anyway, $40,000 a year does not seem like an unattainable amount of money to raise, and it would result in some FACTS about Michael Jackson's life, something that has been in short supply. Eventually, we could endow a professorship somewhere... I don't know. I just know that I want to see people know the truth about all the good he did, and I want young people to study and learn about what it means to do good with your life. I think she has a great idea. You are welcome to join us. Yes, there are people out there who are exploiting Michael's name for money. Forget it and forget them. We have work to do. Hi Kate, can you link me to where this discussion is? I can't seem to find it on the site. Let me know if you have any problems finding it, and welcome! How can i cancel my membership @ the HTWF with paypal?? You're for always in our hearts! I have set up a monthly payment to a charity and I want to cancel that. How do I do that? Do you want to know, can I cancel my subscription? Canceling a subscription cancels all future scheduled payments of that subscription. A subscription can be canceled up to the day of the next scheduled payment. Hope this helps, Navi! Pass it on to anyone else trying to cancel their donations.